achines, you need the experts on your side. 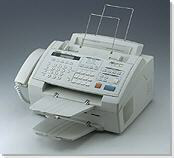 We can fix all the parts of a Fax Machine (circuit boards, drum units, roller assemblies, pick up trays, duplexing units, staplers, stackers and collation units) and at a fraction of the cost of a new one . We work on Digital and Analog black & white, or Color Fax Machines and on every service repair, we perform a complete preventative maintenance check.